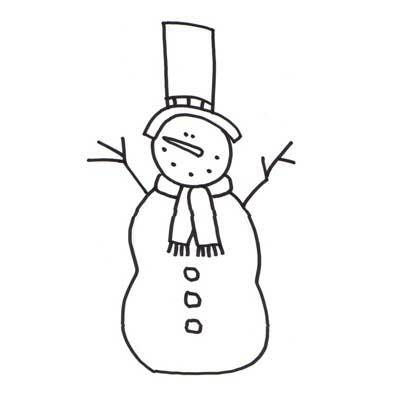 Printable royalty-free Christmas snowman template. This snowman is on the watch for more snow. Use as craft template, a coloring page, wood stencil, sewing pattern.